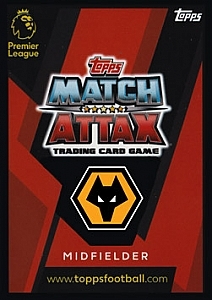 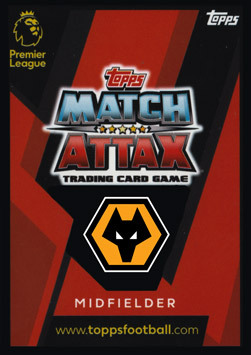 This Match Attax card is of Leander Dendoncker and is a standard card from the Match Attax 2018/19 Premier League collection. 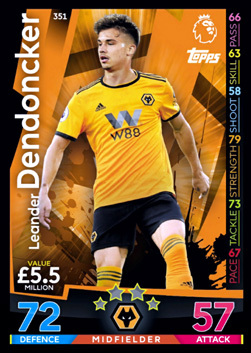 Leander Dendoncker who is a Midfielder for Wolverhampton Wanderers has a defence score of 72 and an attack score of 57. Topps value Leander Dendoncker as a 4 star player worth 5.5 Million Pounds.